As one of the top injectors in Palm Beach County, Supriya Aesthetic Dermtology uses Dysport® to treat facial wrinkles for residents of Jupiter, West Palm Beach, and all of Palm Beach County. Frown lines dramatically change the way an individual looks. One way to erase these wrinkles is through the use of Dysport®, which takes only a few minutes to obtain here at our office. Dysport® is similar to Botox®, and used to treat facial lines that result from muscles of expression. It contains a medication that is also used to treat muscle spasms. This product works by immobilizing the muscles in the area where it is injected. When this happens, the patient is unable to squint, so the lines are automatically diminished. Is Dysport® similar to Botox®? Yes, both products contain a botulinum toxin which weakens facial muscles. They are both administered in precisely the same way. This product can also be a good alternative for those who have built up a resistance to Botox®. Dysport® is typically injected into a pre-determined area just between the eyebrows. It can also be used to diminish lines on the forehead, crow’s feet and neck (off label). No anesthesia is necessary, and it takes less than 30 minutes to perform in a medical office. People who are between the ages of 35 and 65, in overall good health, with no allergies to any of the ingredients in Dysport® may undergo treatment. Women should not be pregnant or nursing during this time. Who should not have a Dysport® injection? Individuals with weakened immune systems, allergies to Dysport® ingredients, breathing disorders or heart problems should not have this treatment. Most patients report noticing results within a couple of days after treatment. Results vary, but improvement is typically noticed anywhere from three to six months. Frown lines can affect people of all ages since sun exposure and squinting are the primary causes. These wrinkles don’t have to prematurely age a person because Dysport® injections are an effective way of reducing their appearance. Cost varies based on a patient's individual needs, the areas being treated, and the brand being used (we offer Botox®, Dysport®, and Xeomin®). 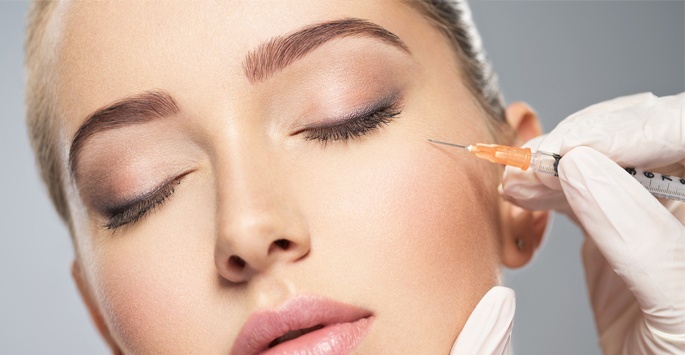 It is advised that patients come in for a complimentary consultation before scheduling a botox appointment so that we may assess each patient's specific needs and provide the best course of treatment. Skin rejuvenation treatments are considered to be elective, so most insurance providers won’t cover the costs. To help make Dysport® affordable and accessible for everyone, Supriya Aesthetic Dermatology offers financing options via CareCredit®. We also accept cash, personal checks, and major credit cards. Contact us today if you have any questions about the cost of Dysport®. Dr. Supriya Tomar is a board certified dermatologist and expert injector of Dysport® for patients in Jupiter, West Palm Beach, and Palm Beach County. She has been doing injections for over 10 years and one of the busiest injectors in Palm Beach. She is well known for giving her patients beautiful and natural results and is a recipient of the Platinum Award from Medicis, the makers of Restylane® and Restylane® Lyft.